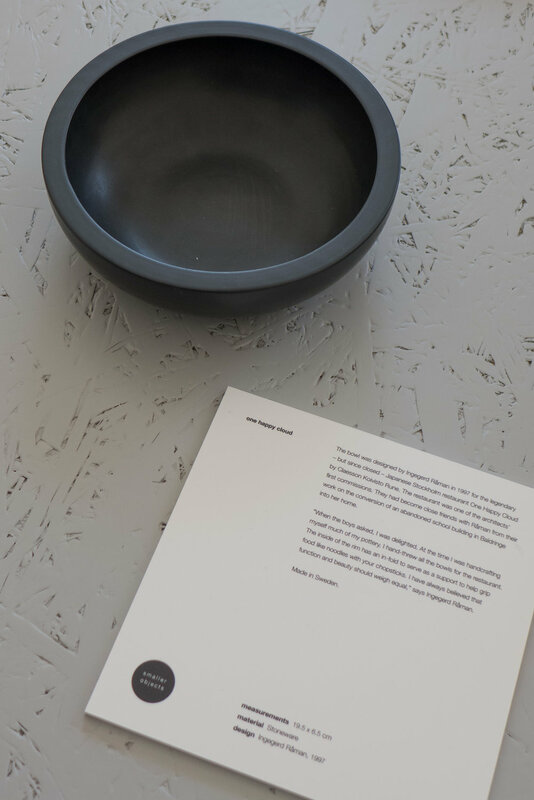 This design prize is awarded by Design Denmark and the Danish Design Centre in Copenhagen. The awards go back to 1965 but in this form date from 2000 when the Industrial Design Prize and the Industrial Graphic Design Prize were merged. 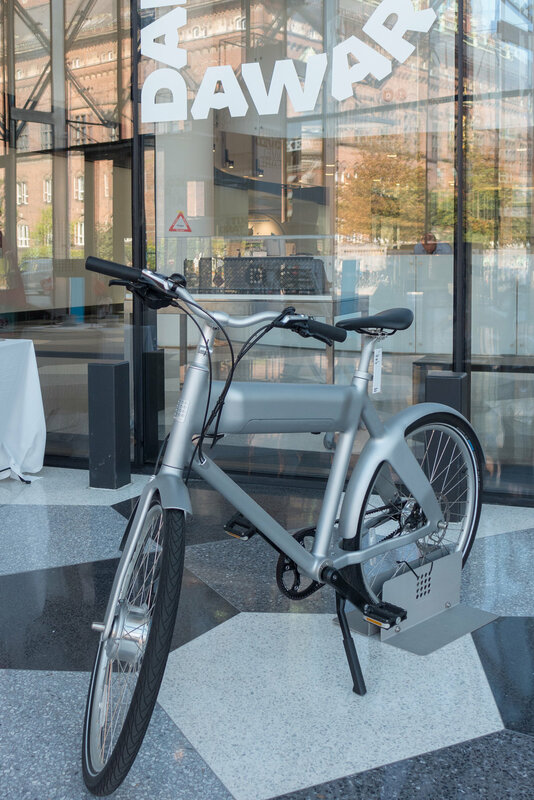 Finalists were selected by a jury of 15 at the end of February and the Award Show will be at Dansk Industri / Danish Industry or DI at Industriens Hus on HC Andersens Boulevard - close to the city hall - on 13 May 2019. 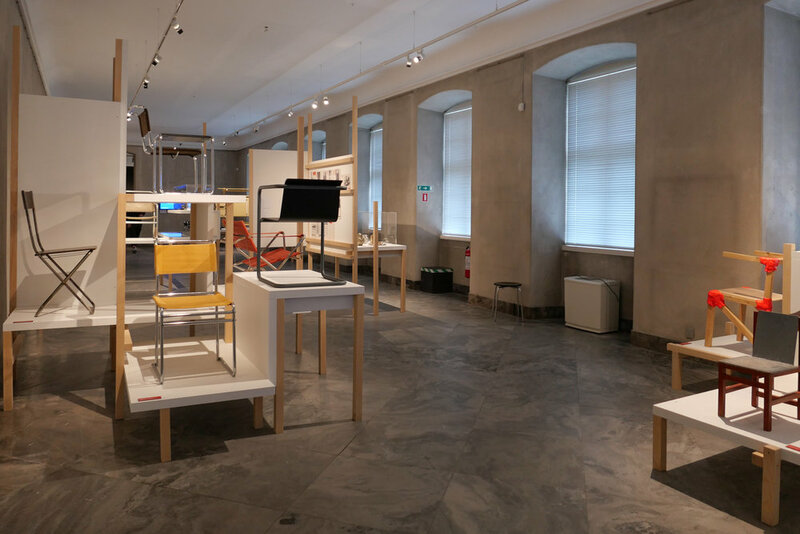 A major exhibition has opened at Designmuseum Danmark on the history, the staff and their teaching and the work of the Bauhaus school of architecture and design. This reassessment was conceived by Vitra Design Museum and Bundeskunsthalle, Bonn to mark 100 years since the opening of the Bauhaus. Metro stations in Copenhagen are to have new flat-screen information panels on the platforms and these are part of a new information system. The first of these new signs were installed at Vestamager and Ørestad at the end of 2018 but all the old-style signs will be replaced in all the stations over the next few months. This is part of the preparations for July this year when Cityringen - a new inner city line - is to open. It will be interesting to see not just how platforms and linking staircases are laid out at the new main interchanges - Kongens Nytorv will be an exceptionally busy station where the exiting lines and the new line cross - but also interesting to see where signs are placed and how signs and graphics will be used to control and direct the movement of people. Commuters tend to move fast on auto pilot but at Kongens Nytorv, but also at Nørreport and at the new station at the City Hall, commuters will come up hard and fast against huge numbers of tourists who are new to the city and its transport systems and that's where that interface between design and human behaviour is crucial. Can anyone explain why people stop in their tracks at the most inconvenient places - like immediately at the top of an escalator or the bottom of a flight of steps - to look at a map or gaze up to the ceiling? Are they looking for divine intervention? There should be a new code of conduct … if you are lost step to the side. And actually the same should apply when your mobile phone rings. Watch. It's amazing just how many people either stop walking wherever they are or at best slow down noticeably when their phone rings. I'm not sure that signs with even the cleverest graphics could deal with that problem. 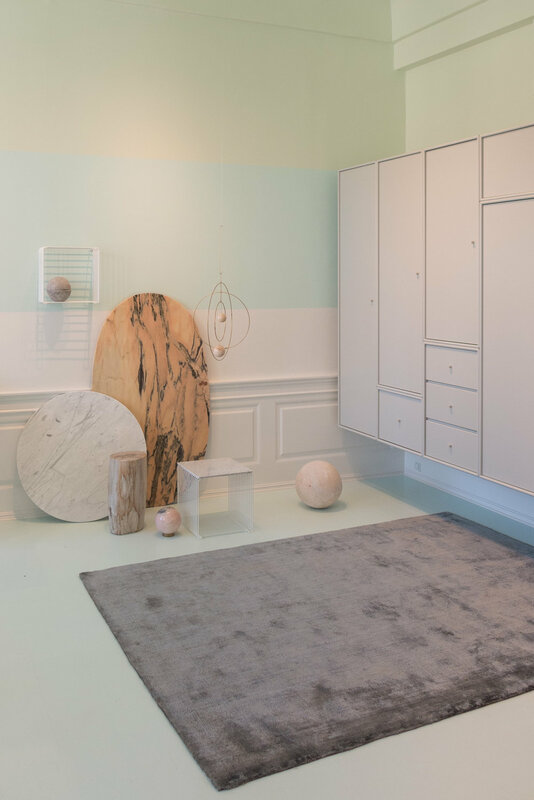 Back in August, when the design market FindersKeepers was at Øksnehallen in Copenhagen, there was a chance to catch up with some of the team from Roon & Rahn. 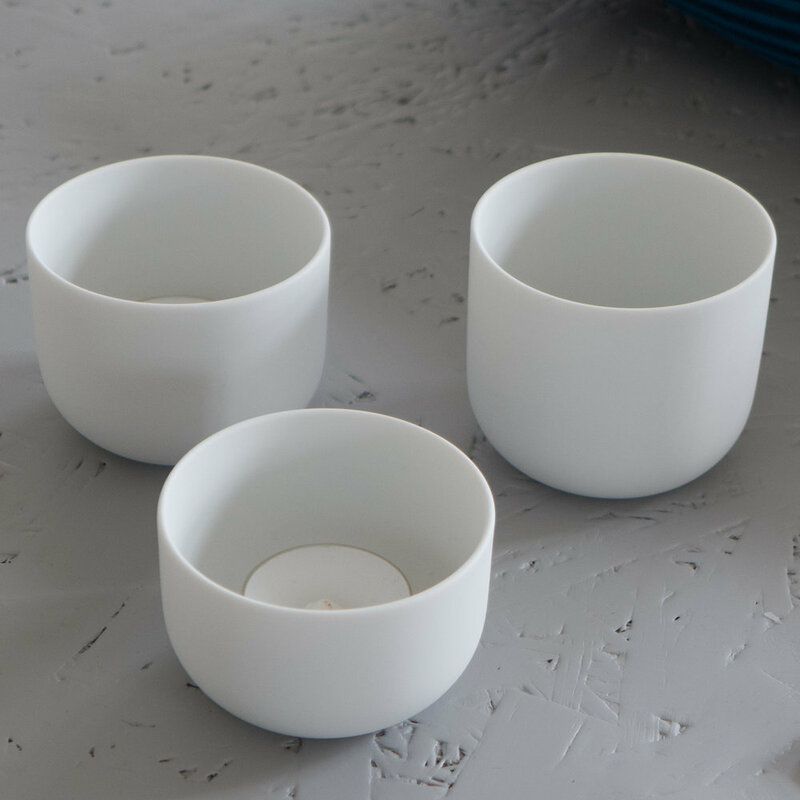 A fairly new design that they have added to their catalogue is a candle holder called Dedicate. 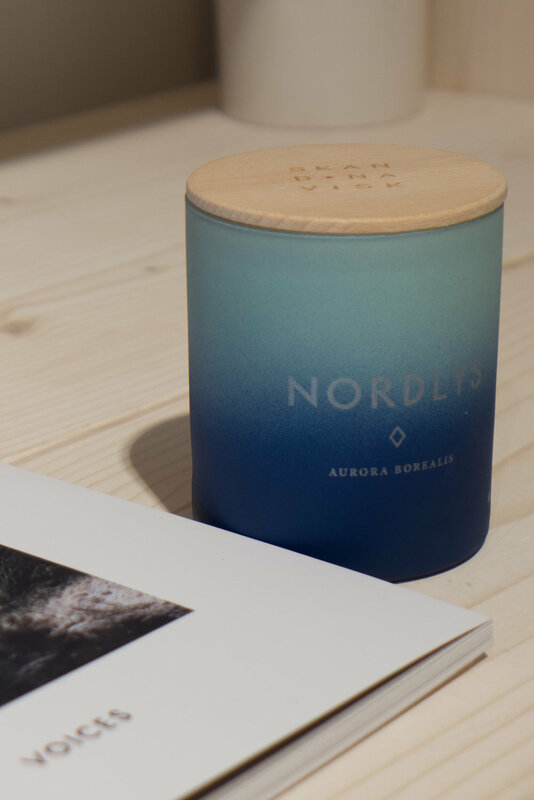 Product reviews as such are rarely given space here on this site but the candle holder is not just ingenious in itself but is cleverly packaged and presented and it demonstrates very well some of the best qualities that give the best Danish design an edge. 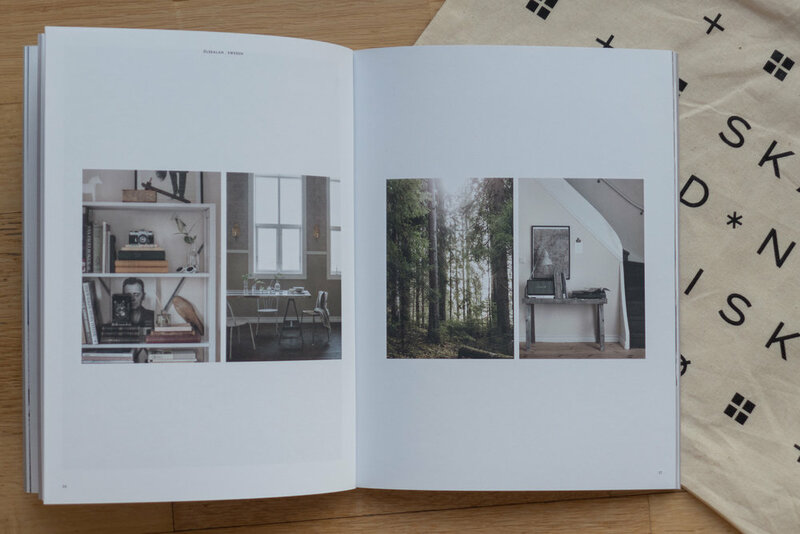 Roon & Rahn, a small design studio based in Aarhus, was established by Nicki van Roon and René Rahn Hansen. 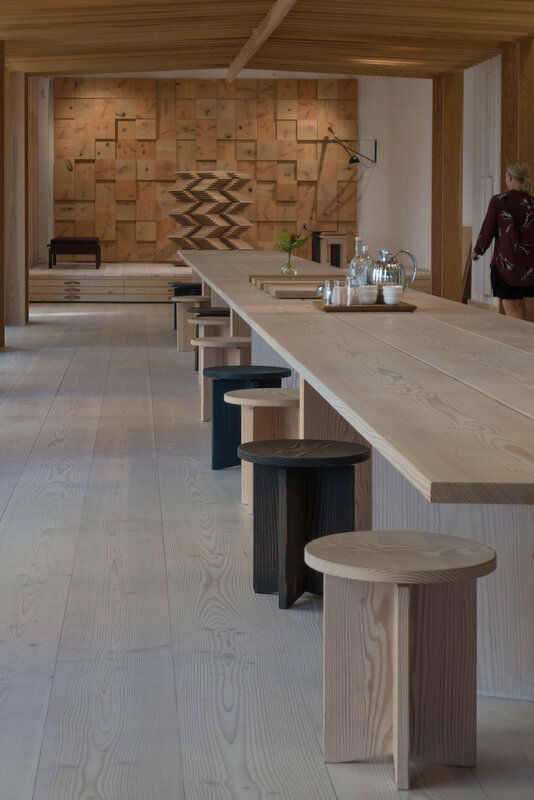 They have concentrated on producing a small number of designs including stools and tables - all with a distinct style - all made well with a concentration on technical details that takes their work closer to an engineering approach than to the work of a carpenter. Their real skill is to tackle product design from a different direction … why simply try to design something slightly better than the competition when actually, if you take a step back, then it might be a good idea to try something very different to do the same job. Dedicate could not be a better example. 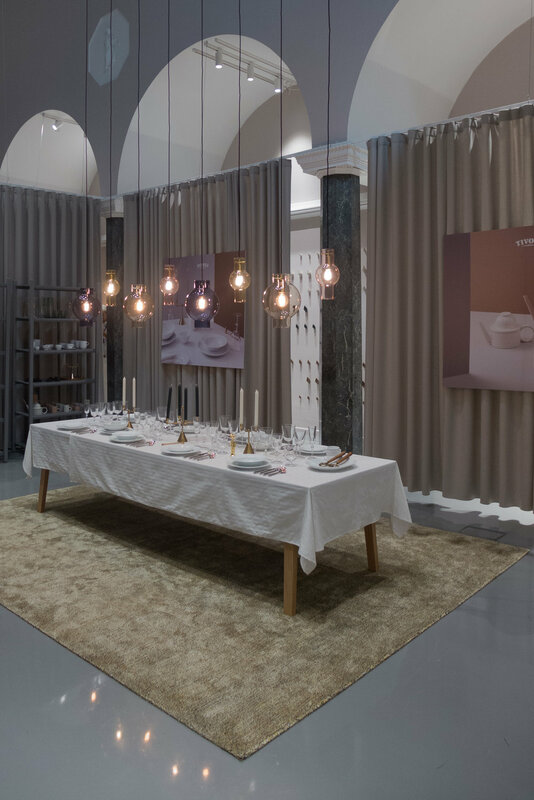 If you had to come up with objects the design market in Denmark should not need more of it would probably be more chairs and more candle holders. 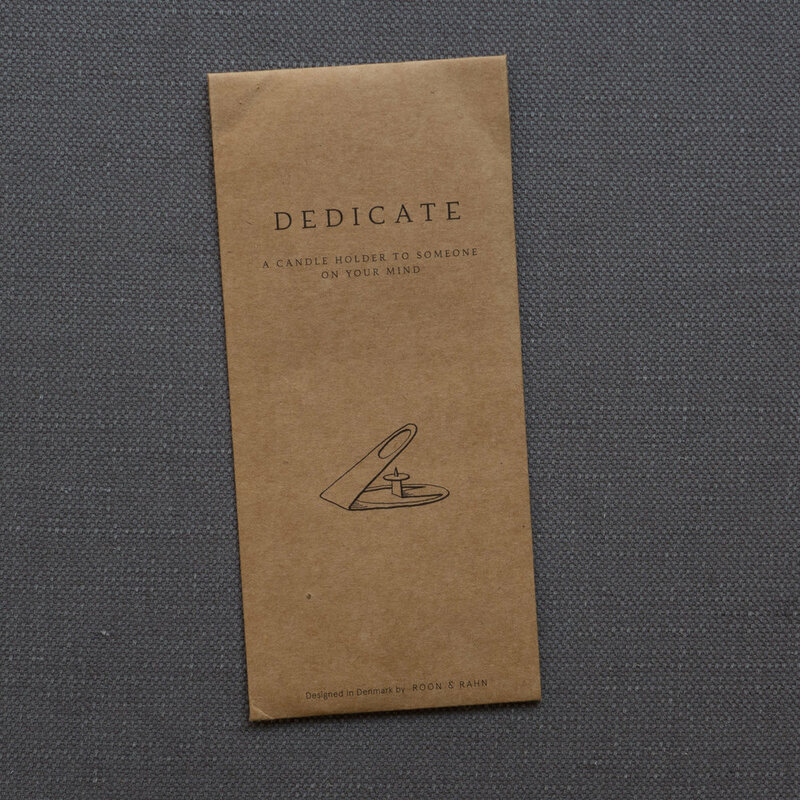 The new idea for Dedicate is that it comes with a twist … or, to be more accurate, it comes without a fold and bend that you provide … so it's a flat-pack candle holder although I'm not sure Nicki and René would see that as the most flattering description. It is cut from a single piece of rose steel and comes in a manila envelope where you can add the name of the person you are giving it to - hence Dedicate. 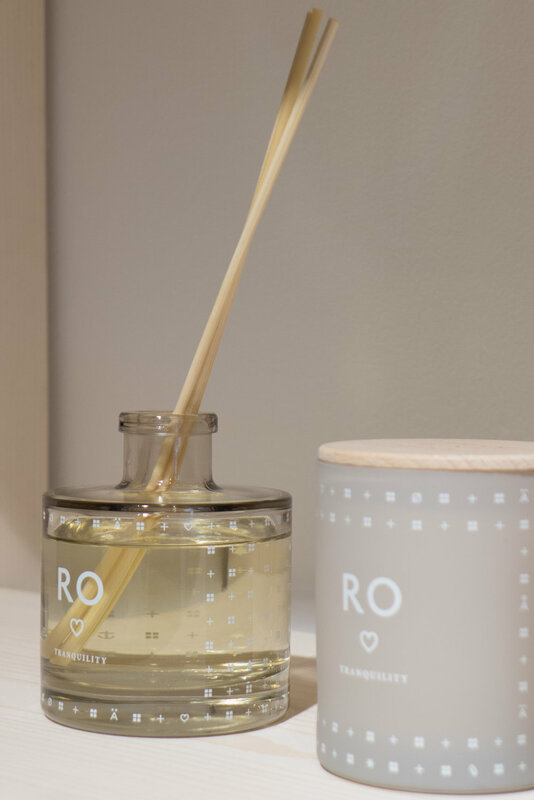 There is a clear set of instructions, so, as with all the designs from Roon & Rahn, deceptively simple but in fact very carefully-designed and really good packaging and graphics are a crucial part of their work. 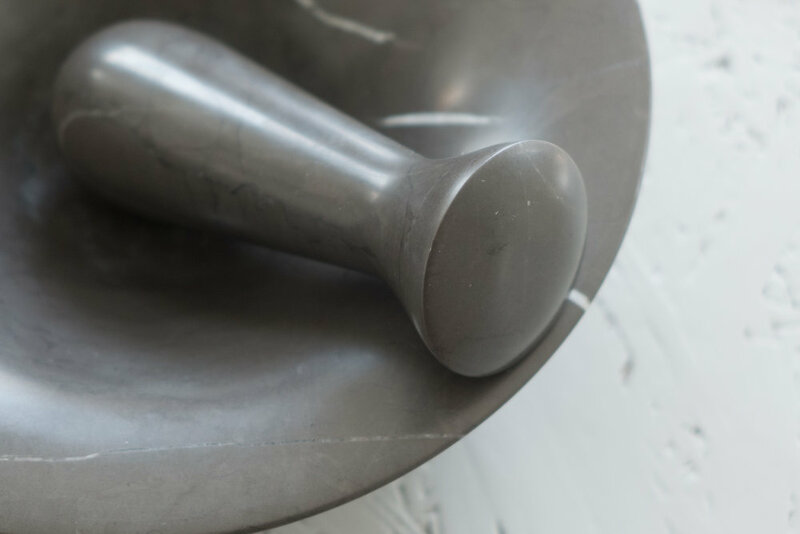 Out of its envelope, you break off a small disc that will support the candle and then bend the main steel cut-out in two directions using the edge of a table to keep the main fold straight - and a standard candle is dropped down to be held on a short spike. 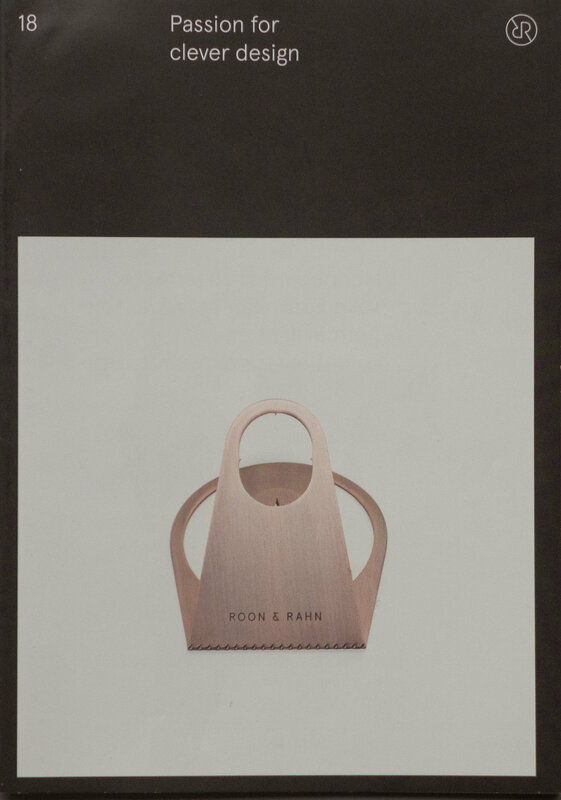 On the current catalogue from Roon & Rahn for 2018 there is a tag line "Passion for clever design". That sums it up pretty well. Perhaps it seems odd to recommend here a programme on BBC Radio about design when it was not specifically about architecture and design in Denmark but The Sympathy of Things that was first broadcast at the beginning of November raises what seems to me to be incredibly important general points. The two programmes were presented by Amica Dall and Giles Smith of the architecture collective Assemble and they explored ideas about the designed and manufactured world and considered a wide range of problems about our relationship to the things that surround us everyday from "pavements and handrails to hairdryers and cereal bowls" and, along the way, asked the head of design why IKEA don't make toilets. In our concerns about sustainability and in our growing uneasiness about global production, we may have reached a point of self doubt that is comparable to the conflict of feelings and soul searching about early factory-produced goods that, in the late 19th century, lead to the formation of the Arts and Crafts movement not only in England but also in Denmark and in other European countries. We still seem to have an odd or at least an unresolved attitude to the relevant roles played by artists, craftsmen and designers and can be ambivalent about the benefits or not of mass production so now is certainly the time to consider and discuss this as we tackle issues like our use of natural resources, pollution from production and the growing impact of transporting goods from countries that have had low labour costs as the dominant economic model in a profit motivated society. An important point made in the programme was that "there wouldn't be anything mass produced without the knowledge about how to do it by hand" but the problem is that as more and more is mass produced in remote countries, our skill base and, personally, our direct understanding of materials and how we use them is being lost. Giles Smith suggested that “Learning to make things and to engage in richer more active relationships with materials can help you locate yourself in the world and witness your reliance on other people's skill and labour.” Is that indulgent … an attitude that is only possible in a wealthy country … or should it be a wakeup call for a World that seems increasingly disconnected? 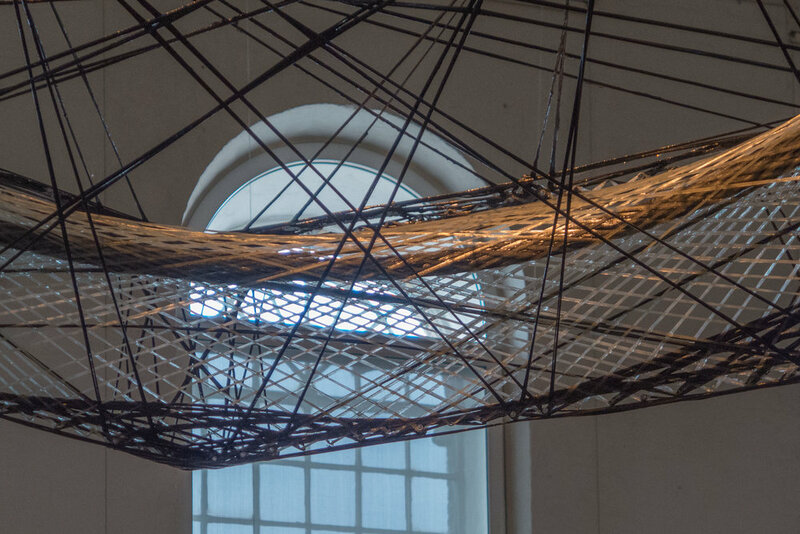 A major exhibition, Practice Futures, has opened at KADK - the Royal Danish Academy of Fine Arts Schools of Architecture, Design and Conservation. The full title of the exhibition is Technology in Architecture, Practice Future, Building Design for a New Material Age, and this is an import examination of that area, if you see it in terms of a Venn Diagram, where the disciplines or professional expertise of architecture, engineering, techniques of construction and the development and the technology of materials meet and overlap. 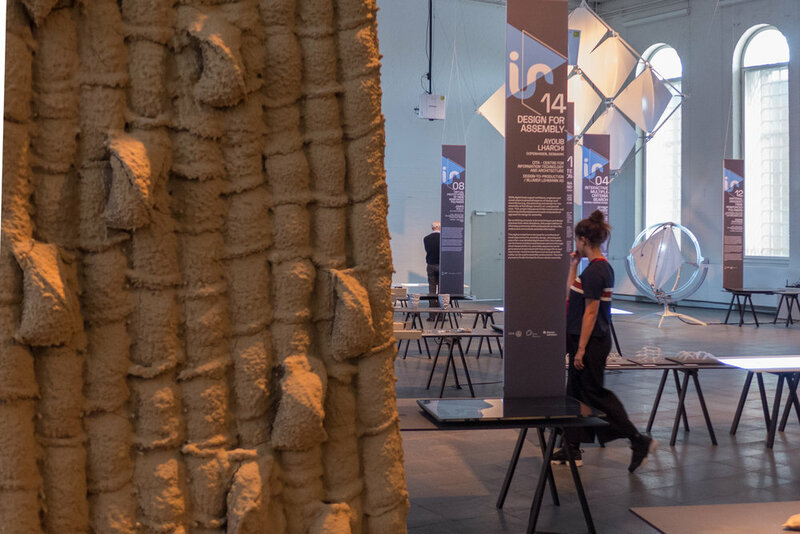 Fifteen research projects are presented here from international PhD students working in six major European research departments and working with fourteen established partners including major architectural practices, engineering companies and construction companies. 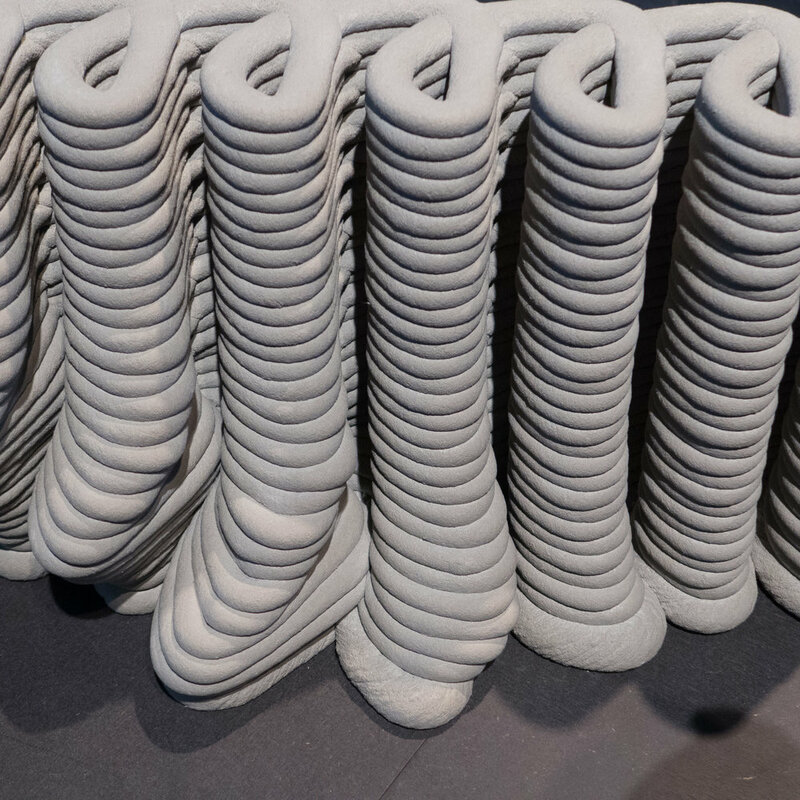 These ongoing studies are reassessing well-established materials such as timber and concrete and rediscovering or reassessing or developing techniques to shape, bend, finish and join materials to achieve new forms of construction such as large scale, computer-controlled extrusion or printing and the development of new materials for large-scale building projects. This is about new tools and new approaches for reassessing traditional materials and established craft techniques but also about using computers to assess complex information; to solve unconventional design problems and to control systems for constructing new forms and new types of building. Projects presented here are prototypes to demonstrate customised solutions to realise challenging new construction projects that not only have to take into account the need for high energy conservation but also have to tackle rapidly-developing problems or social pressures from population growth, and, as a direct consequence, find new solutions to the demands of cities that are growing at an unprecedented speed. This is construction design trying to deal with political and economic constraints and with the added and pressing demands of global climate change. 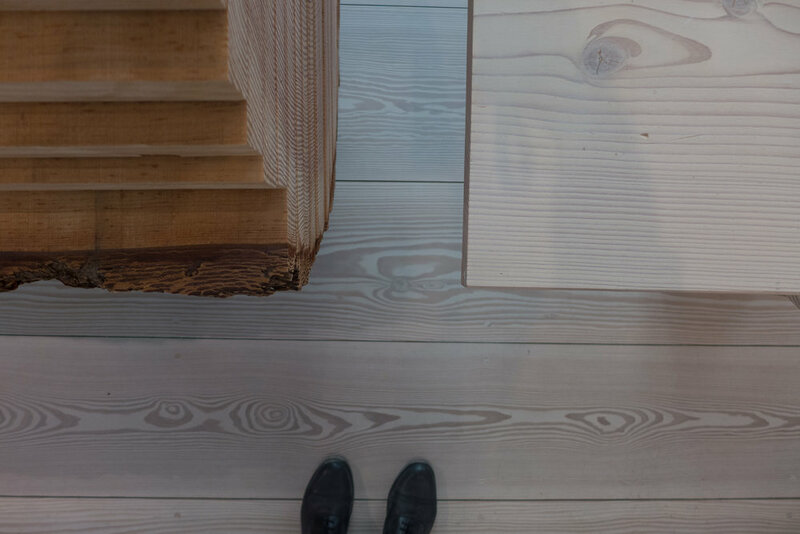 Dinesen, the Danish floorboard company, did not have a major exhibition in their showrooms in Copenhagen this year for 3daysofdesgn but I called in there on the way to look at the new showrooms for by Lassen that are on the third floor of the same building Søtorvet. 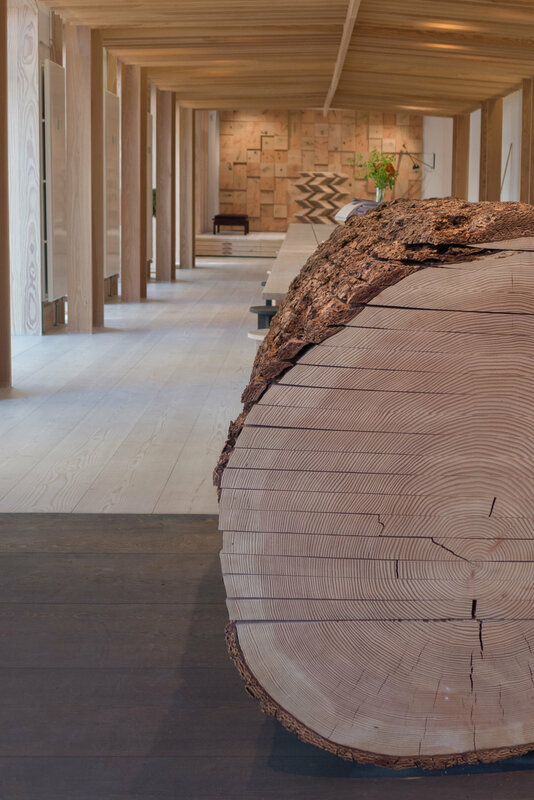 They have an amazing display that runs down the centre of the showroom with the base of a Douglas fir with the bark still attached but sawn through into enormous planks. A visitor had counted the tree rings and the fir, from a forest in South Germany, is thought to have been 117 years old when it was felled. In from the base, more bark has been removed and the sawn planks are more obvious and then from there, running on down the showroom, is a table made from planks from the tree that are 50 metres long. FIFTY METRES. It's truly astounding and it shows, in perhaps the most tangible way possible, that the Danish love of wood for furniture is not just about style or taste but about a deep understanding of timber and an appreciation of it's importance and a deep knowledge that comes from experience and decades … no not decades but actually centuries of working with wood in this country. 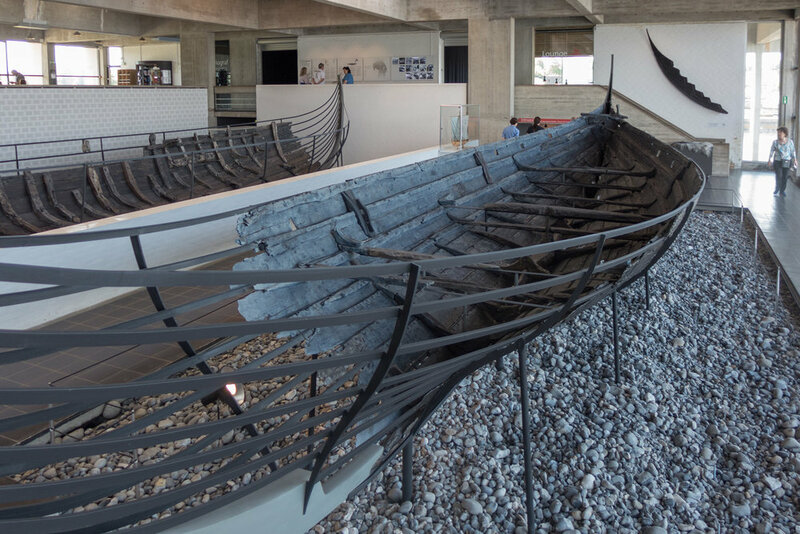 Just a few days earlier I had taken family, who were visiting, to the Viking Museum in Roskilde. The ships there - dating from the 11th century and excavated from the fiord in the 1960s - are stunningly beautiful and amazing for their size; for their striking design and for their engineering and above all because they show that shipbuilders in Roskilde a thousand years ago were masters of the skills needed to work with the timber and understood how to realise designs that were strong and did service for decades. Outside, in the area between the museum building and the water of the fiord, there was a demonstration of various shipbuilding skills, using traditional techniques, and one craftsman was dressing the surface of a split timber plank with an axe. A tree trunk had been split with wedges then than being sawn … aa ancient technique that meant thin planks could be formed that took into account the twists and natural faults in the wood. With a few swings with the axe, the surface of the plank was taken back from rough fibres and splinters to a surface that was smooth and almost unblemished. 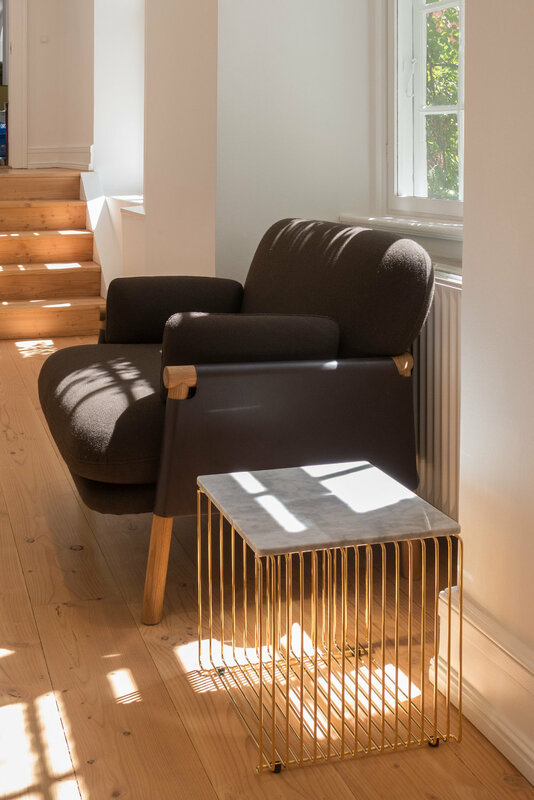 If anyone wants to know just why Danish furniture in wood is so good then the answer is simple … all it takes is a 1,000 years of experience. 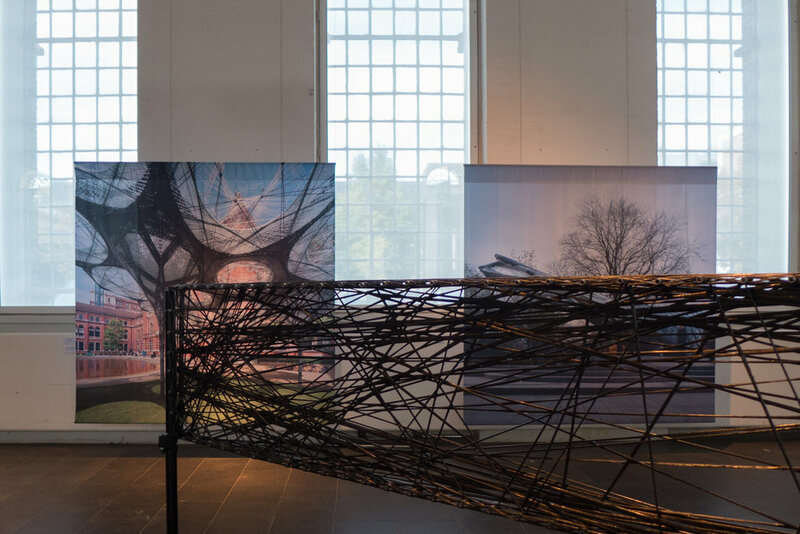 This weekend is the last opportunity to see the exhibition of the projects and work of this year's graduates from the Royal Danish Academy of Fine Arts Schools of Architecture, Design and Conservation … a densely packed show of the talents and the phenomenal imaginations and skills of the students who have just completed their courses in Copenhagen. 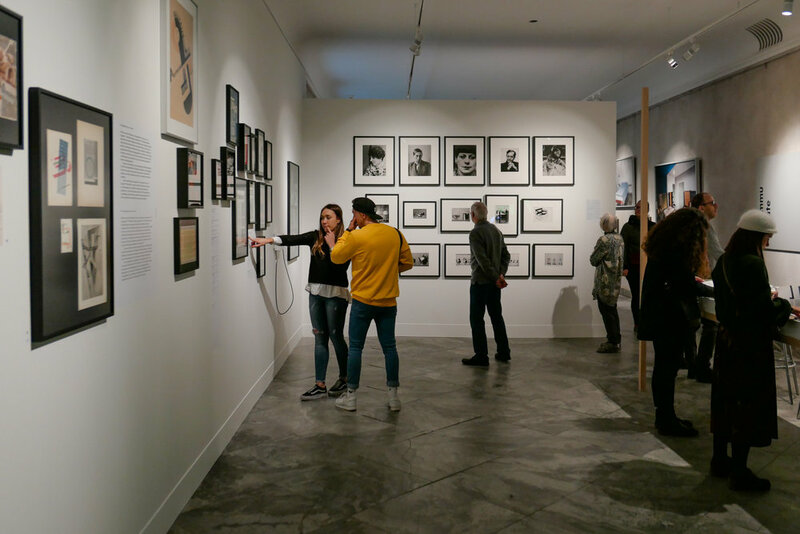 There are profiles of the students and photographs and descriptions of their work on the KADK site. The exhibition ends on 13th August. 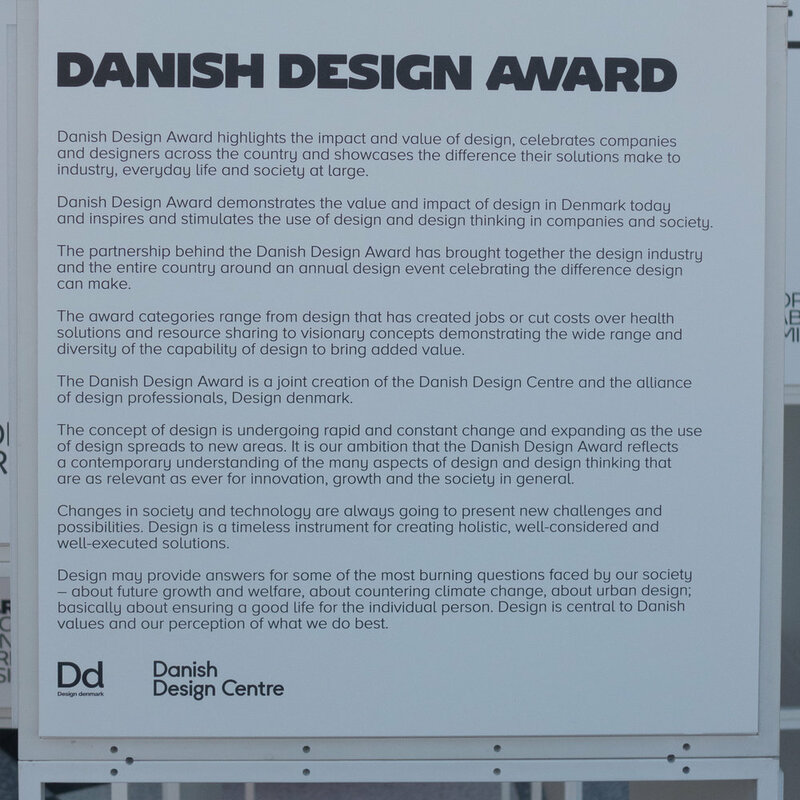 Nominated designs and the recently-announced winners for the Danish Design Awards for 2017 can now be seen in an exhibition in the entrance lobby of Industriens Hus on H.C. Andersens Boulevard in Copenhagen … the headquarters of DI or Dansk Industrie which is the Confederation of Danish Industry. The awards were divided into an almost bewildering number of categories - including Better Learning, Daily Life, Fostering Partnerships and an award for the outstanding design for Improved Welfare - but this simply reflects a diverse range of modern products where imagination or lateral thinking and the application of good design principles can resolve a huge range of problems in modern life. All the finalists and the winners are on the Danish Design Award site and it really is worth spending time to look at all the designs and products shown there because it does prove that good design really does matter and that the implementation of good design principles and the appreciation of well made and well designed products permeates through so many aspects of life in Denmark. 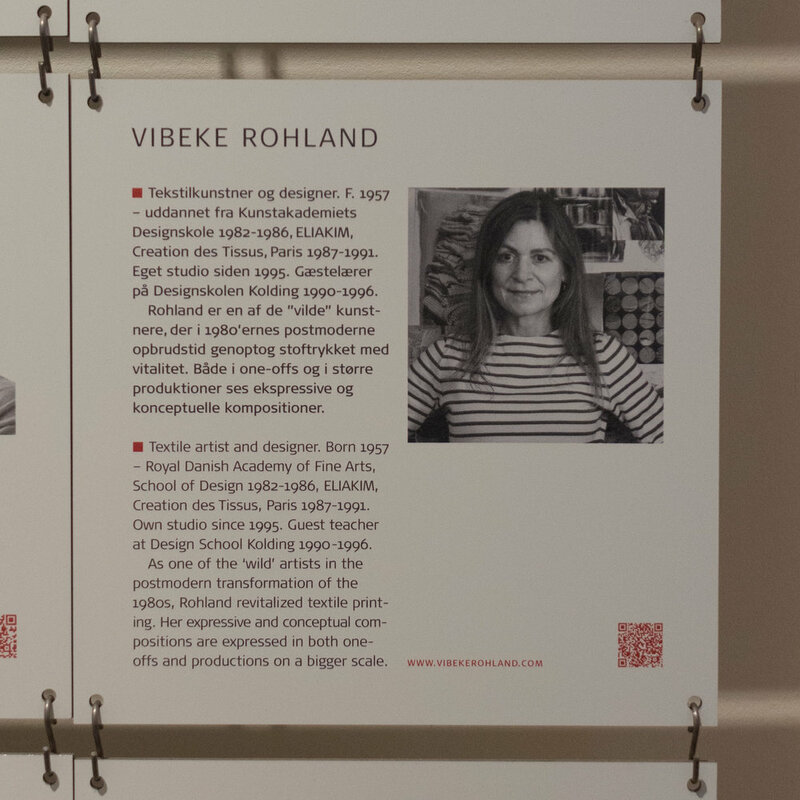 note: the text of the exhibition is in English and the web site is in Danish or English. 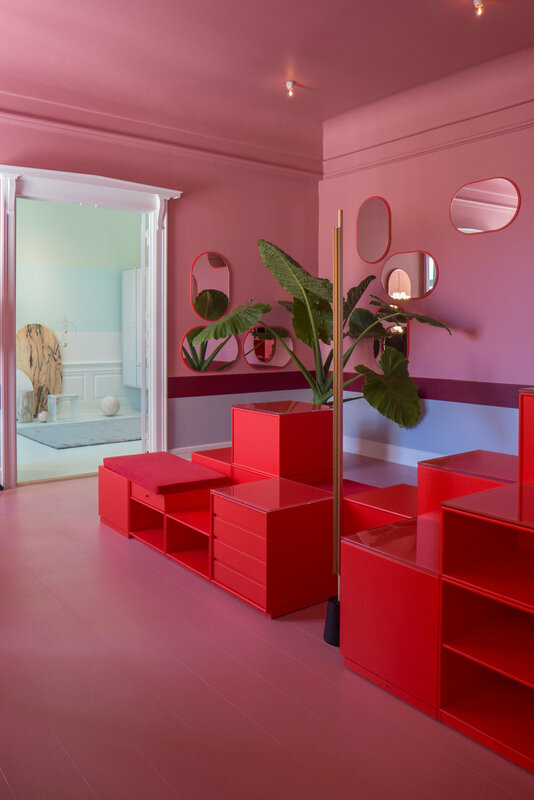 There is an exhibition of the projects and work of the students who have graduated this summer from the Royal Danish Academy of Fine Arts Schools of Architecture, Design and Conservation (KADK) in Copenhagen. There are profiles of the students with some photographs and short descriptions of their work on the KADK site. 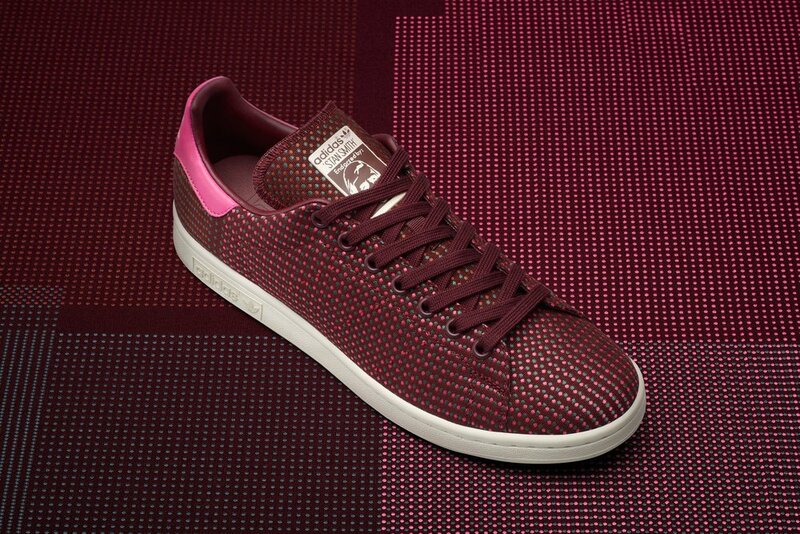 … or should that be an Adidas / Kvadrat collaboration with a Stan Smith classic and a Vibeke Rohland original? Vibeke Rohland, the Copenhagen artist, designed the fabric in 2005 and Squares has been in production by the Danish textile company Kvadrat since 2008 and is available in ten colour ways. The collaboration between Kvadrat and Adidas was so top secret that even Vibeke was kept out of the loop until the first publicity came out this month. Her reaction? “Cool” Had she no idea at all … well there had been a very weird phone call from the design department at Kvadrat back in February asking what size shoe she wears … it did seem odd for any sort of company publicity material but then she forgot all about it. Adidas missed a publicity trick as Vibeke can regularly be seen running … and I do mean running … up the harbour from her studio to Toldbod and beyond. Maybe these sport shoes wouldn’t get past the Wimbledon white-only dress code but for anywhere else they sure beat plain canvas. The shoes will be available from early July in three different colour ways. Back in May there was a post here about the Dursley-Pedersen bike that had just been added to the collection at the design museum in Copenhagen. The bikes are still in production but I have still not seen any actually being ridden in the city so it was worth a trip over to Christiania - to the bike workshops of Christiania Cykler there - to see the current models. I’m still not sure how people on these bikes cope with Copenhagen cobbles or is that the real benefit of that long low-hung hammock for a saddle - or cope with the pressure and rush of a Copenhagen peloton at full speed on a commute over one of the bridges and through the traffic. 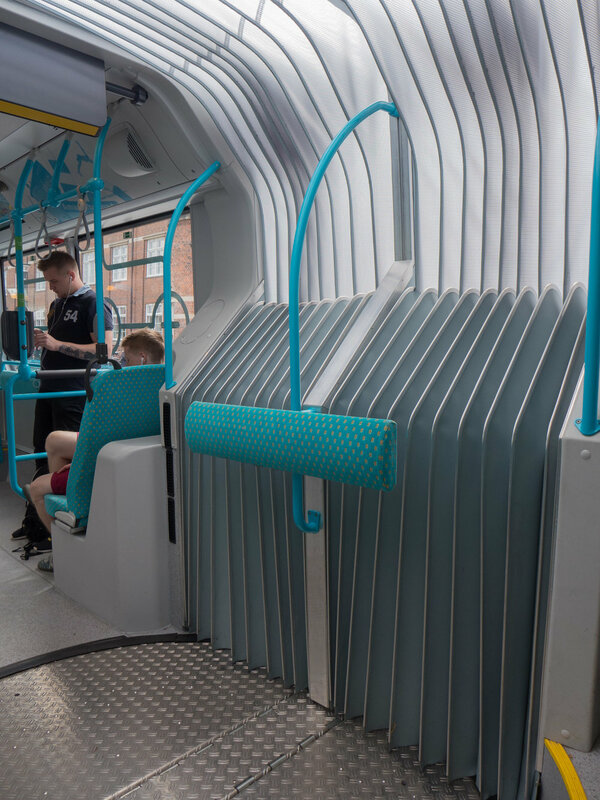 Back at the beginning of May there was a post on the site about the new buses that have been put onto the 5C route through the city. But the buses are simply the most obvious part of a complicated and carefully co-ordinated design project. New bus stops have been built along the route and the longer buses meant that bus bays had to be extended at some stops so the work was co-ordinated with the city roads planners. There is a clear colour scheme for the buses with a strong blue and rich yellow and this continues across textiles and graphics but this was not simply a matter of creating a new “house style” because it had to be seen as a step on from existing designs … not too close so it was boring or barely worth the obvious investment but not too much of a difference to require a steep learning curve. Staggering back from work or carrying loads of shopping and pushing a kids buggy you don’t need to be confronted by something so unfamiliar that you are not sure where to go or what to do. There are far more doors to get on and off the buses so whereas before the entrance was generally at the front past the driver, the new buses can be entered at any of the five doors so there had to be new graphics to explain this and now the doors do not open automatically but with the press of a button … both on the inside but also on the outside. The machines for clocking in and out, some with options for adding extra passengers to your ticket, that have until now been found only on railway and metro platforms are now used actually in the buses. There are novel features that reflect the much larger number of people on each bus so vertical poles at some points actually split into three - so more people can hold on - and at the articulated join of the two parts of the bus there are barriers to stop you falling against the concertina of the link but this bar is padded so you can use it as a bum rest if you are standing on the join between the two sections. There are also much-improved graphics for passenger information at a high level - to be seen over people standing - and as the bus follows a long route with a lot of stops that cross other bus routes and rail stations the graphics on a long panel at the centre mark the progress of the bus and the options to change to other routes at each stop. It would be interesting to know just how many designers were involved on the full project and what the timetable was to interact with quite so many different contractors. This is an extremely good example of just how important good design is even if, for many, it exists very much in the background of their lives. At the start of 3daysofdesign - the Copenhagen event when stores and galleries and design studios have open house - there was an official launch for a new joint venture for the Danish furniture companies Montana and Erik Jørgensen for the opening of their new design studios and show rooms on Bredgade - just beyond Designmuseum Danmark - in the street of top-end design stores, antique dealers, auction houses and galleries. The partnership or rather their co-habitation will be interesting to follow. Erik Jørgensen was founded in 1954 by a saddle maker and upholsterer and the company has a well-established reputation for extremely well-made furniture from a back catalogue of important designs by furniture designers of the classic period including Hans Wegner and Poul Volther … Jørgensen manufacture the Ox Chair by Wegner from 1961 and the Corona Chair by Volther that was designed in 1958. 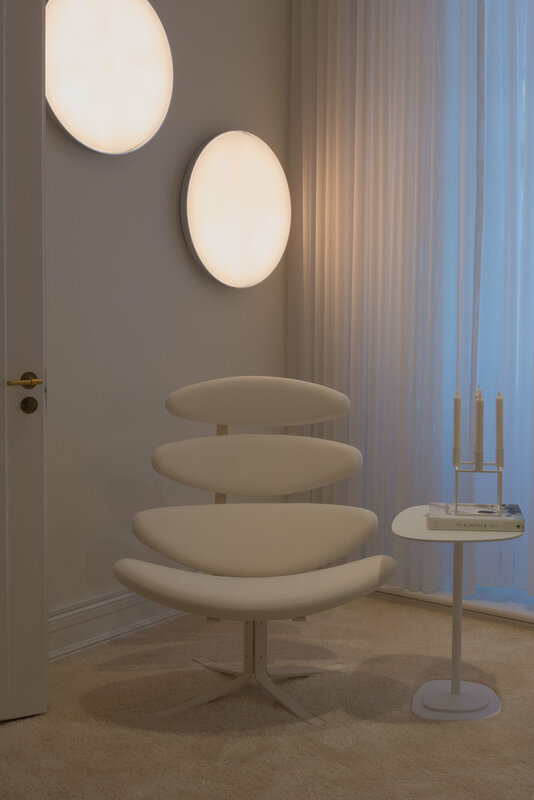 However, Jørgensen have also commissioned contemporary and young designers for important new furniture designs including the Hector and the Bow sofas from Anderssen & Voll and Shuffl from Anne Boysen. 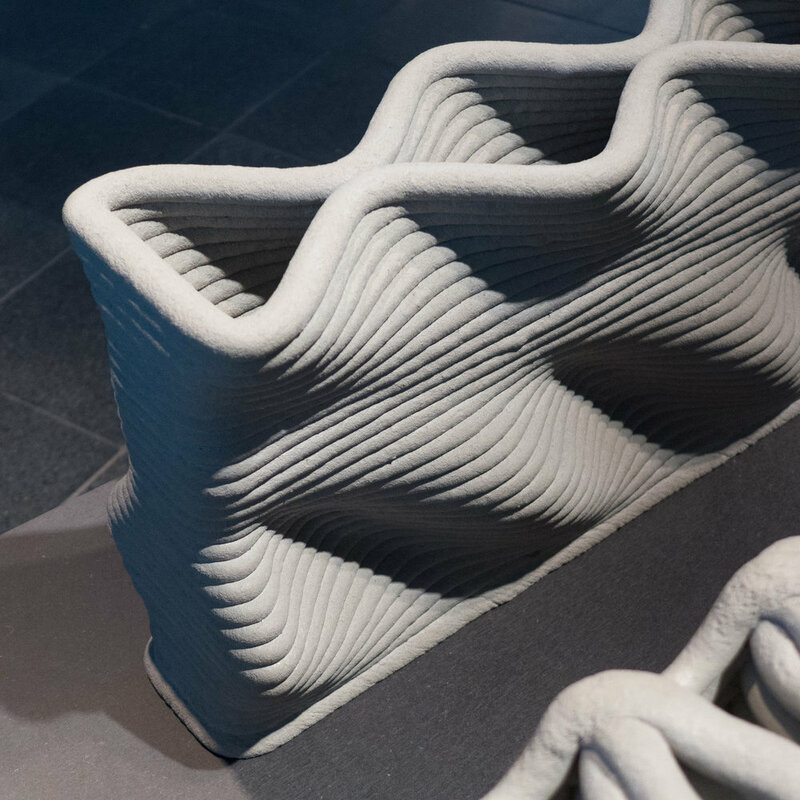 Of course these designs make full use of the company’s skills in upholstery … particularly for upholstery over what appear to be difficult or at least unconventional shapes. 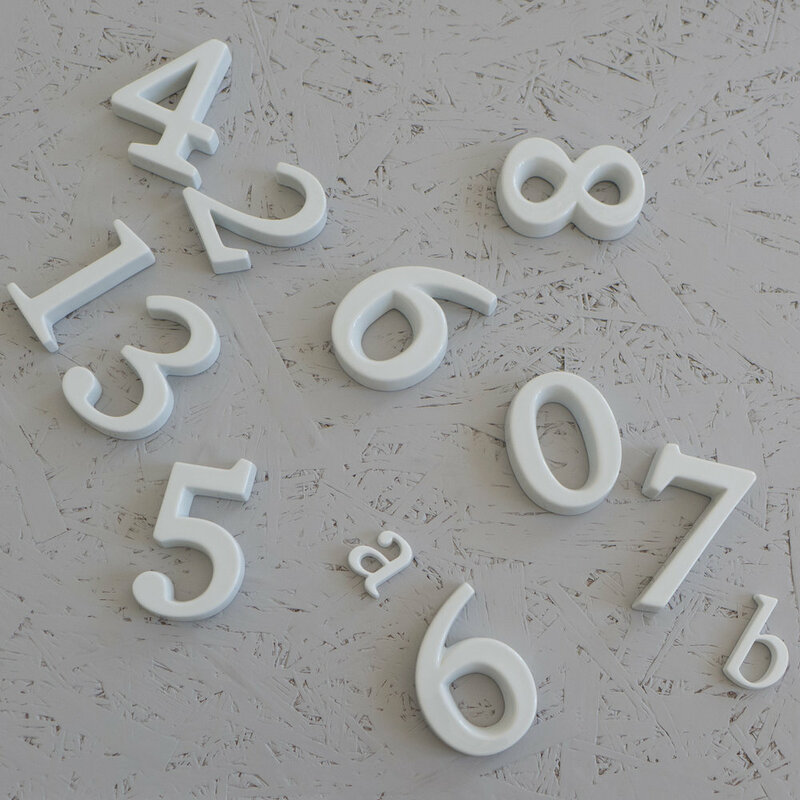 These pieces are exceptionally well made and robust so the company is generally seen as a contract design company that is well used by architects, and designers for top-end commercial interiors. 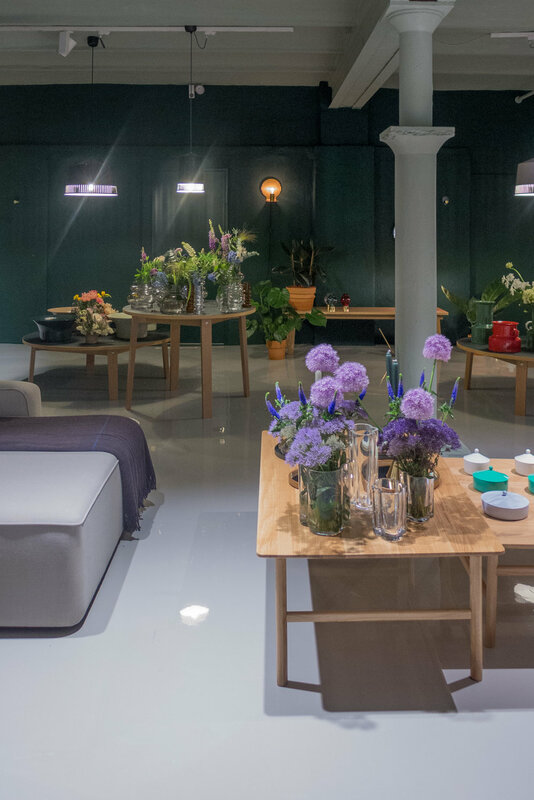 A main office and display space out at Nordhavn, at Pakhus 48, will remain but Bredgade is clearly a move into the more domestic side of the furniture market although not into direct retail. Montana was founded in 1982 and is well known for both their very confident use of strong colours and for their storage systems that are now so extensive that they can be combined for almost any space and any storage needs. What the two companies have in common is an incredible sense of design self confidence. So this should now be the place to take anyone who tells you that they find Danish interiors too white, too bland for their taste and just too much pale soaped oak. 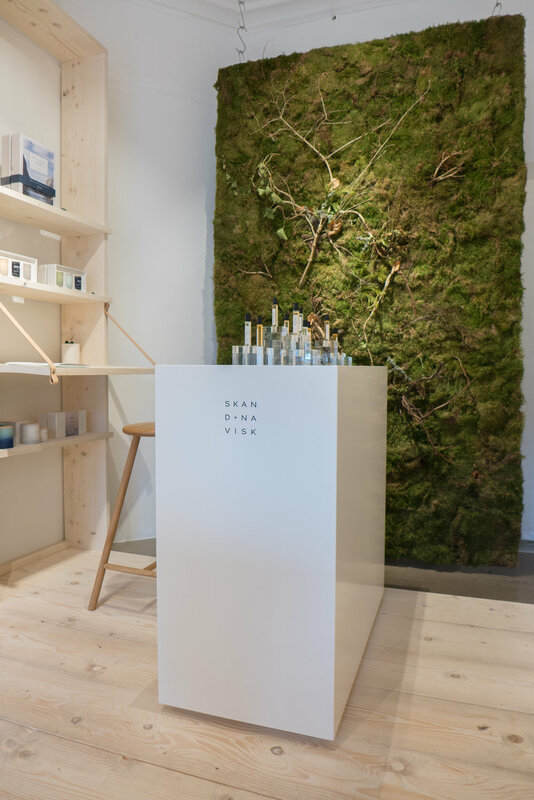 Montana will keep their retail space at the city-centre end of Bredgade - on the corner of Sankt Annæ Plads - but this second building in Bredgade will be a major venue for their studio and sales staff. For anyone fascinated by design, but not working in the industry, it is easy to under appreciate just how important commercial sales are to many large design companies so this building is not where you can wander in off the street to buy a chair or a book shelf but is the place for meetings and serious sales and to inspire potential customers with strong shapes in strong and often unconventional arrangements or colours although it seems more than likely that the Bredgade studio will feature as the backdrop in photo shoots. What makes it interesting to look around studios like this during events like 3daysofdesign is that you begin to get at least some idea of just how important a visually inspiring work environment is for people working in design day in and day out. Owners of good wine shops presumably don’t drink any old super-market plonk in the office and great restaurants presumably don’t expect their senior staff to eat beans on toast so definitely no table tennis here or kids’ slides from one floor to the next. 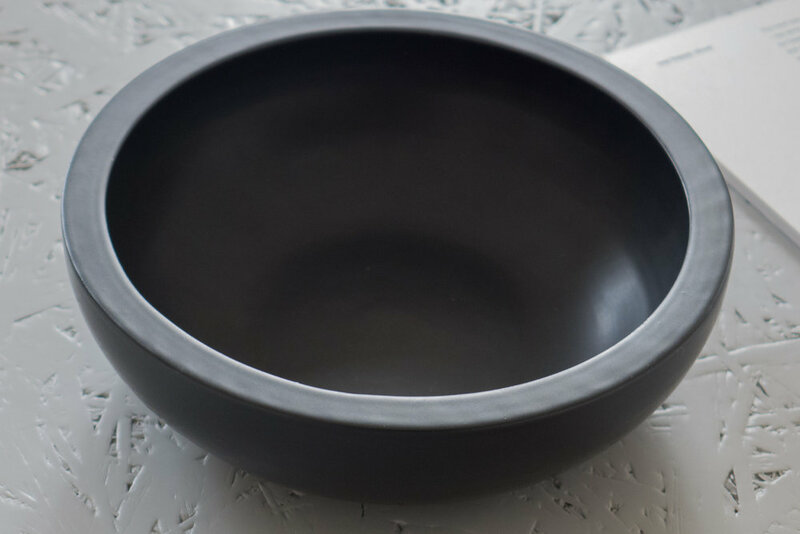 Many of the pieces in the Smaller Objects collection have been designed by the Swedish architecture and design studio of Claesson Koivisto Rune but there is also a Swedish stoneware bowl, some glass from Italy and objects designed and made in Japan. 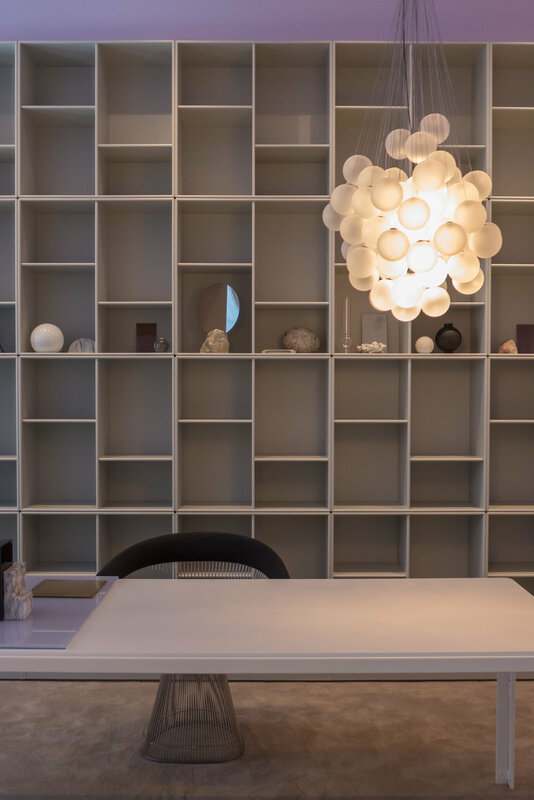 What unites all the objects is not just the very high quality of the materials used but the pieces have that hall-mark of design at the highest level in that form, function and material are balanced. In fact, it is that balance of form, function and material that makes these objects minimal in the most obvious sense … in that you realise as you look at and then you hold the objects, it would be very very difficult to add anything more or take anything away without destroying that balance. 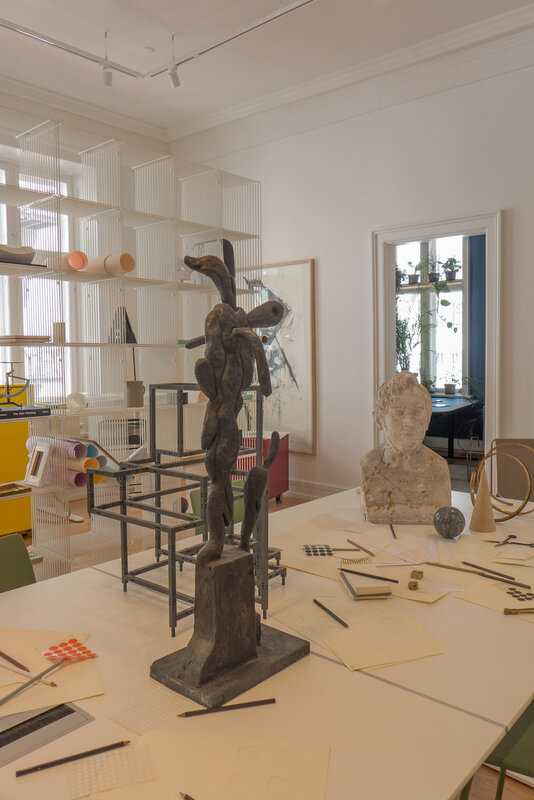 These objects are refined - not in the sense of being polite and cultivated - though they are that too - but in the sense that the design has been refined or reduced down to that point where it looks and feels right. 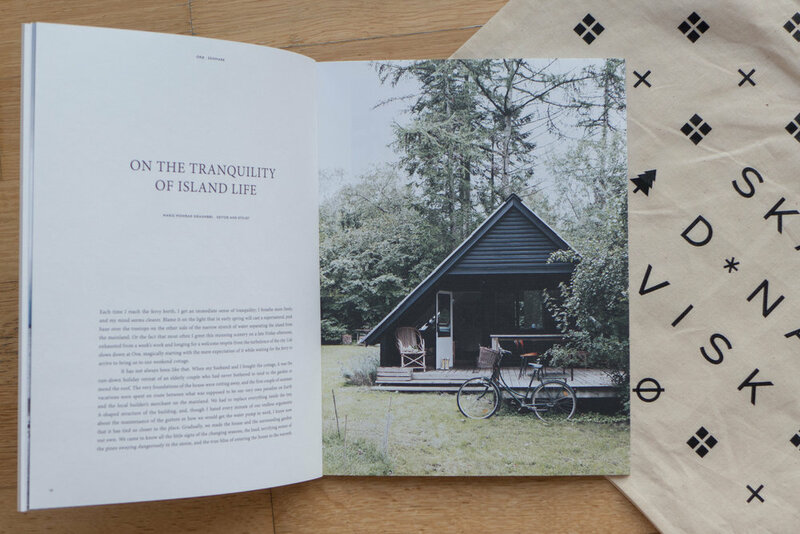 Good minimal design is about reduction … not about going straight for the basic. 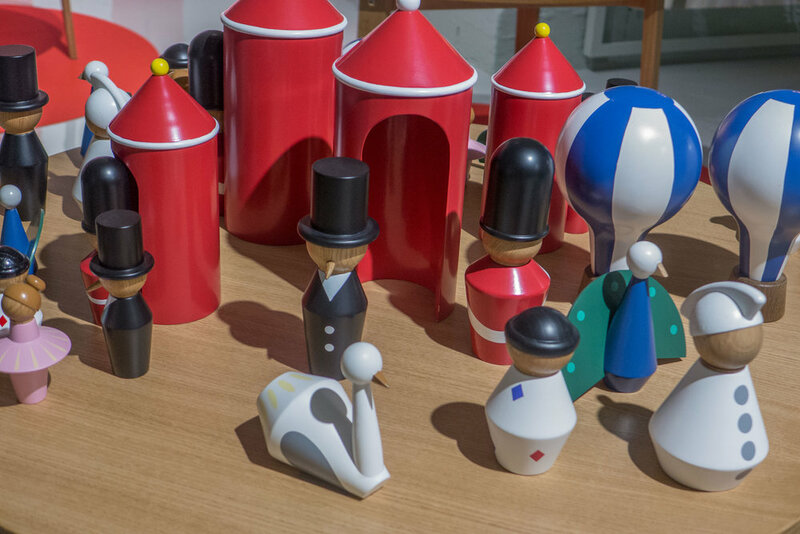 These objects also demonstrate that incredibly important aim for the best design when actually you realise that although the piece appears, at first, to be primarily about appearance and style … what, in fact, is crucial is the obvious and careful consideration of how the pieces function to make even an everyday task more enjoyable. 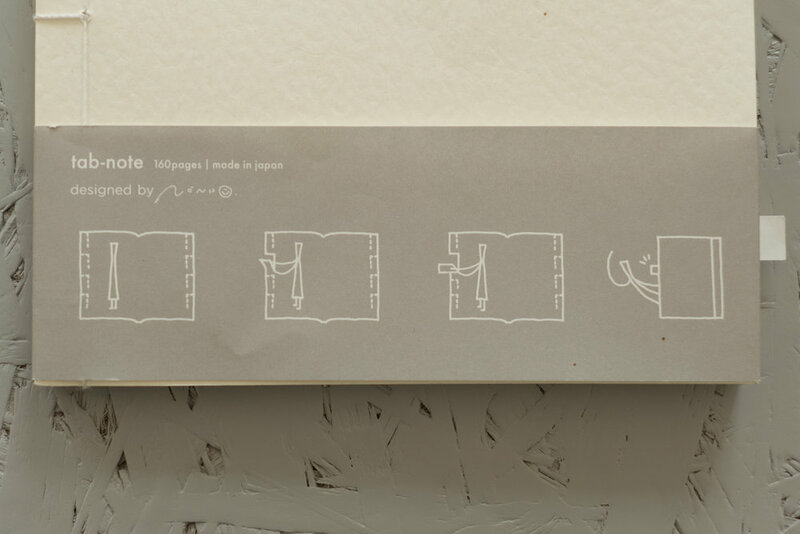 The Japanese notebook is a good example where you realise that here is something that not only is beautifully made - with the experience that comes through a manufacturer who has long-established craft skills - but how someone uses a notebook has been carefully reconsidered so that even turning back a pre-cut tab to mark a place becomes a simple pleasure. That probably sounds precious or pretentious but one clear reason for - maybe the justification for - designing something that is better - or is more beautiful or is better made in beautiful materials - is that the finished object should enhance life every day when doing everyday things.